The wisdom of Spock has guided us all for years, but now it's enshrined in Texas law. Ruling on the limits of police power, the Texas Supreme Court quoted from Star Trek II: The Wrath of Khan. Appropriately weighty principles guide our course. First, we recognize that police power draws from the credo that "the needs of the many outweigh the needs of the few." Second, while this maxim rings utilitarian and Dickensian (not to mention Vulcan), it is cabined by something contrarian and Texan: distrust of intrusive government and a belief that police power is justified only by urgency, not expediency. See STAR TREK II: THE WRATH OF KHAN (Paramount Pictures 1982). The film references several works of classic literature, none more prominently than A Tale of Two Cities. Spock gives Admiral Kirk an antique copy as a birthday present, and the film itself is bookended with the book's opening and closing passages. 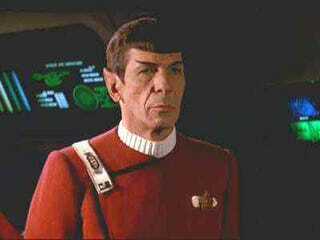 Most memorable, of course, is Spock's famous line from his moment of sacrifice: "Don't grieve, Admiral. It is logical. The needs of the many outweigh . . ." to which Kirk replies, "the needs of the few."